Best Chinese Knives: Knives to get in the AliExpress Brands Shopping Week Sale! Knives to get in the AliExpress Brands Shopping Week Sale! 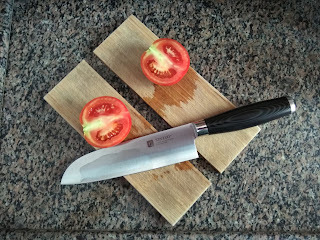 Ok, so I have decided to create a post where I will write about knives that I think will be wise to get in the AliExpress Brands Shopping Week Sale. Now for $5 less on the price. Viteli TOP 1 - Pretty well known high end model with original design and great materials (S35VN blade) and quality now for more than $50 off original price. CH Knives CH3005 - Newest model from CH, and their take on a sub 3" stout flipper. Kevin John Venom 3 - Awesome new version of this great quality knife. ~$40 off during the sale. Kevin John Venom 2 (AKA CKF Daboia) - Awesome knife that is now making a comeback with a limited M390 edition - get them while you can (won't be around for long). Bear Claw P60 - Very high quality flipper knife with Ti handle and S35VN blade. Amazing price for an S35VN knife. Bear Claw Nettle - Great original design from the guys at Bear Claw. $5 off during the sale. Xinzuo Budget Kitchen Knife Set - Great 5 piece budget set now for only $55. I have the similar 3 piece set and reviewed it on the blog. There are some pretty savvy knives that could do a lot of damage, i have a swiss army pocket knife but its nothing infront of these beautiful ones!